Amano Yoshihiko works at the giant Mizunami Bank. 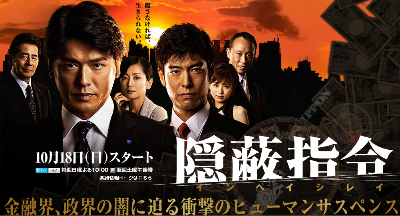 Trusted by the president, he is put in charge of hiding 700 million yen worth of bad debt. For the sake of the bank and the president, he puts all his effort into taking care of the matter, but he encounters many obstacles, including an ambitious politician and his secretary, a hostess club run by the former president's mistress, and even his own colleagues. Meanwhile, as Amano becomes more involved in the problem, his own personal life is falling apart.